Our man Brodie Smithers takes in the BT Community Shield game between Boroughmuir and heriots at Murrayfield. Club rugby man Brodie Smithers looks back on an exciting season in the BT Premiership. After four games in the 2014/15 BT Premiership season, our man Brodie Smithers gives his verdict on the teams progress so far. With the BT Premiership due to kick-off this Saturday (30th August) Brodie Smithers previews the prospects of all ten teams. Want to get involved? We’re looking for help offering increased coverage of Premier One this season. Moody Blue takes stock of the Premier One season so far as it nears the half way mark. Is he detecting a drop in standard from last year? 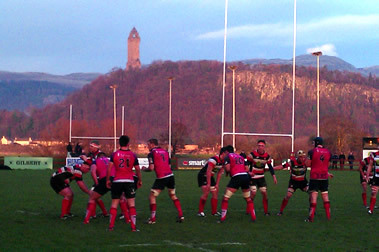 Moody Blue takes in Stirling County vs Hawks and looks at the talking points from the Scottish club rugby season so far. Moody Blue runs his eye over the runners and riders in this year’s RBS Premiership ahead of the return to action on Saturday.